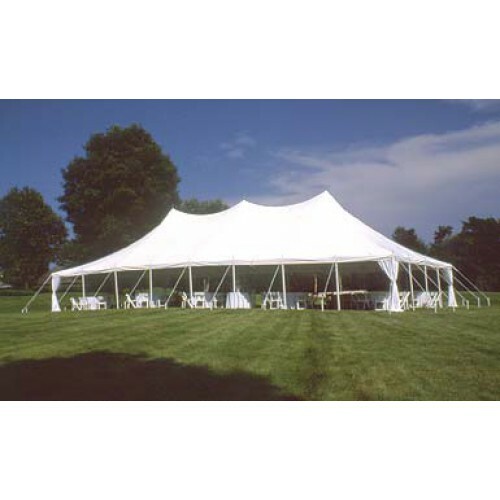 After making full-scale, modern-age tension tents available to the rental customers with our Genesis line — Eureka! developed an equally breathtaking complementary line of tension tents suited to smaller-scale events: the Elite. Featuring the very same visual strengths as the Genesis, the Elite brings your mid- to large-sized outdoor gatherings a spacious and sophisticated interiors (available in 20', 30', 40', 50' or 60' widths). Want to evoke the 'oohs' and 'aahs' that typify a truly special event? Make your next medium to high-capacity event special. Make it Elite. Available in 20 foot increments, up to 1000 feet!